Did you know that you can save where you are up to when cooking a recipe from a recipe chip? So, depending on what you are cooking, if you need to run an errand or get interrupted at any point you can save the step you are up to. Just press the home button and then press save when the option appears. 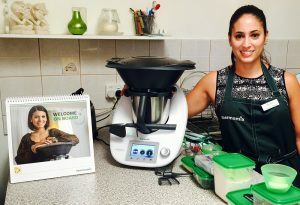 Then when you are ready to continue cooking you turn your Thermomix back on and you will have the option to resume the recipe. And if you weren’t ready to continue cooking straight away you can always pick up where you left off by going into the recently cooked menu and you will find the recipe there with a pause icon next to it.